Get best-in-class security and save! Use your .edu email address to get 50% off ESET Internet Security. Education discount available to K-12 and higher education students, faculty, and parents with valid .edu address. Education discount only valid on select products, and may not be combinable with other offers. False representations of eligibility voids this offer, and ESET reserves the right to collect the full price of product(s) ordered. Bulk orders not valid and may be cancelled. Number of products per purchase may be subject to limitations. 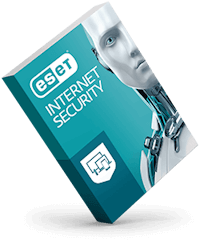 Available only online or via phone direct from ESET. Not valid on prior orders or purchases; cannot be transferred or otherwise redeemed for cash or promo code(s). Refunds will take into account the discount. Price discount does not include taxes, shipping or other fees. Void where prohibited or restricted by law. ESET reserves the right to modify or discontinue the terms of these offers at any time. Other exclusions and limits may apply.